The West River Road ends with a football-field size turnaround. At this point it’s 0.7 miles inside the Silver Lake Wilderness area. ATVs use this as a launching pad to trespass even further into Wilderness area, where they get close to the Northville Placid trail. The management of this illegal road is a mess. 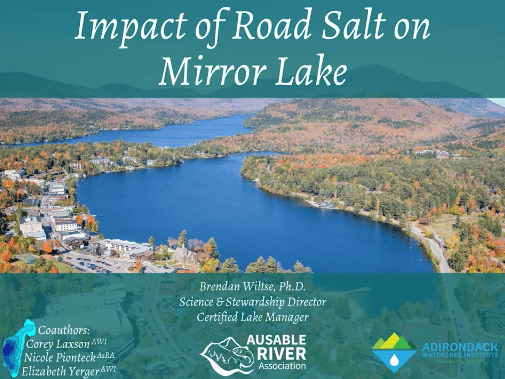 In 2006, the Adirondack Park Agency (APA) stated in its approval of the Silver Lake Wilderness Area Unit Management Plan that it would work with the Department of Environmental Conservation and the Town of Wells to fix this non-complying road. As 2014 winds down, there has been zero action at the APA to close this illegal road. 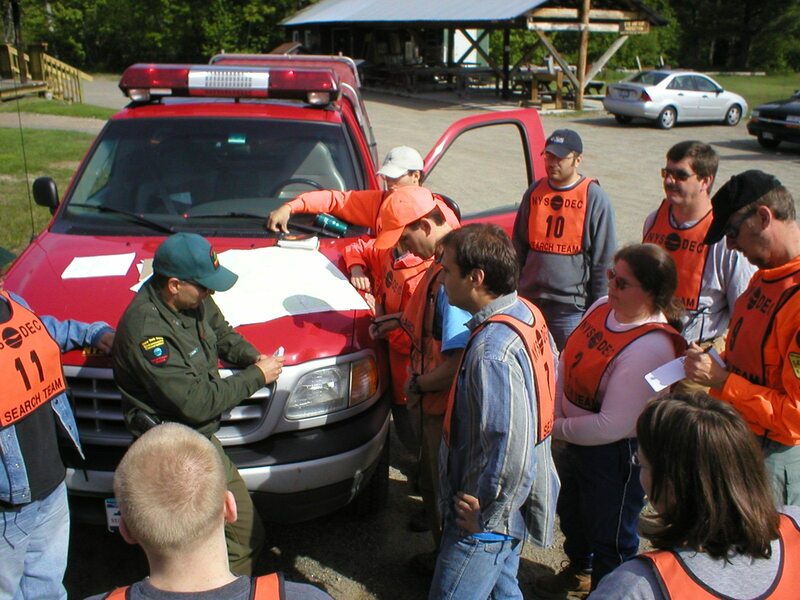 In September, state agencies celebrated 50 years of the National Wilderness Act. Neither the APA or the DEC used this moment to take stock of their management of Wilderness, rather they basked in good feelings around the celebration. For the last eight years, state agencies have officially been aware that the far end of the West River Road has existed as a 0.7-mile-long road illegally penetrating into the Silver Lake Wilderness. This section of road violates Forest Preserve laws, rules and regulations. The failure to close this road has resulted in natural resource degradation of parts of the Forest Preserve. The West River Road is in the central part of the Silver Lake Wilderness area, west of Route 30 in the Town of Wells. The road winds along the north side of the West Branch of the Sacandaga River and in many places the road is close to the river. It’s managed and maintained as a local road for most of its length by the Town. It cuts through Forest Preserve lands on its east end and provides access for various private land inholdings. The West River Road has long been classified as the Sacandaga Primitive Area, because it passes through parts of the Wilderness area before running through a series of private land inholdings. The state purchased the westernmost private inholding more than a decade ago, which means that the last 0.7 mile of road has remained as an open road and Primitive Corridor in violation of the Adirondack Park State Land Master Plan (SLMP) because Primitive Corridors must have a purpose for managing a non-conforming use, such as private access through the Forest Preserve to an inholding, and cannot be maintained solely to provide public motor vehicle access. This issue was spelled out in detail in the Silver Lake Wilderness Area UMP approved in 2006. The 106,770-acre Silver Lake Wilderness is one of the largest Wilderness areas in the Adirondack Park, along with the Siamese Ponds Wilderness (112,524 acres) area, Five Ponds Wilderness (117,978 acres), and High Peaks Wilderness (192,685 acres). The Northville-Placid trail runs north-south through this area. 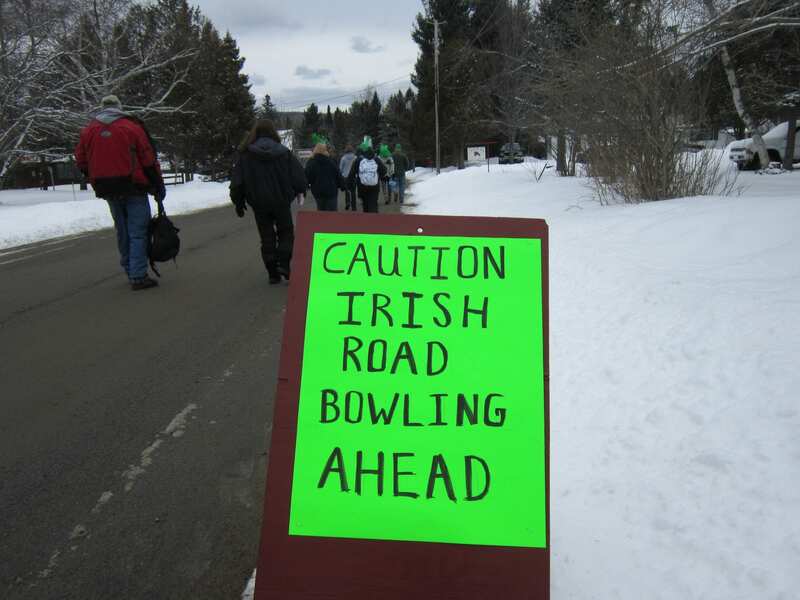 The area includes Silver Lake and a long stretch of the West Branch of the Sacandaga River. With the sale of the westernmost inholding, the last 0.7 miles of the West River Road openly violated the SLMP, which describes and provides guidance for the Sacandaga Primitive Area (the West River Road): “Should the private lands west of this section be acquired by the state, this road should be terminated … and the right-of-way, as well as the acquisition, should become part of the Silver Lake Wilderness.” That’s pretty clear language and direction to state officials. Yet, the last 0.7 miles of the West River Road remains a road and not Wilderness. The most important part of this resolution is the statement that the DEC will “bring that portion of the West River Road that extends beyond the last private in-holding into compliance with the State Land Master Plan by the end of the five-year period covered by this Plan.” In 2014, some eight years after the UMP was approved, and three years after the deadline, the DEC has not done this work yet. The APA and DEC are three years late in making a decision on the closure of this road. The absence of action has resulted in motor vehicle incursions, including ATV trespass, into the Silver Lake Wilderness area. The Master Plan contains several specific provisions on the use of motor vehicles in areas classified as wilderness. The Master Plan, June 2001, states in guideline 2 under the heading “Structures and improvements” on pages 21 and 22, that in wilderness areas “roads and state truck trails” are considered non-conforming structures. Guideline 1 under the heading “Motor vehicles, motorized equipment and aircraft” on page 23 of the Master Plan, provides “public use of motor vehicles, motorized equipment and aircraft will be prohibited.” Thus, the Master Plan does not allow for any use of public motor vehicles on wilderness units within the Adirondack Park. Under the Master Plan, that portion of the road which is not included in the Sacandaga Primitive Area must therefore be closed to the public use of motor vehicles. If, however, the Primitive Corridor does include only 0.7 mile of this road, DEC is without legal authority to effectuate a closure of that portion of the road which reaches to the last parcel of private property situated on the road, because Highway Law §212 does not authorize the Department to close a road which does not pass over or through lands “wholly controlled” by the State. Further discussions will be held with the Town of Wells to address the future status of the last 0.7 miles of the West River Road. Within the 5-year period covered by this UMP, said discussions will result in action which bring the status of this section of road into compliance with Master Plan requirements. Possible options for effectuating such compliance might include, among other things, an order of abandonment by the Town pursuant to Highway Law § 205(1) or a Commissioner closure order pursuant to Highway Law § 212. The last 0.7 miles of the West River Road includes a handful of roadside car camping sites. There are also trails that lead off the road. While some of the trails are gated there are signs of ATV routes around the gates. The west end of the West River Road is close to the Northville Placid Trail. The failure to close the West River Road has allowed motor vehicles to access wild parts of the interior of the Silver Lake Wilderness and ATVs to ride on hiking trails. The state has clear legal authority to close this last 0.7 miles of the West River Road, but has elected not to do so for political reasons. The failure to effectively manage the closure of the far end of the West River Road has resulted in natural resource damage to the Forest Preserve. 50 years after the National Wilderness Act, the reality is that our state agencies responsible for management of Wilderness in the Adirondack Park cannot enforce Wilderness laws, regulations or policies. Peter, how does the legality of something like the Old Mountain Road fit here. If a town road (it sounds like this is one) traverses wilderness land (or any state owned FP land) isn’t it still a town road until it is legally abandoned by the town even if there are no longer any private inholdings at the end? The DEC should at least be consistent and treat all similar roads the same way. One way or the other. During the latter part of the 90’s I’ve shared with friends the joys of running the West Branch. We used to be able to park by the old chimney near the suspension bridge,next year the road was blocked further down river. The third year it was blocked at the last camp on the river side. I’m sure we trespassed putting in but I had invited two guys who drove from Oswego to check out the river. I never noticed any ATV damage when hiking to Big Eddy or the NP trail. Floating down a river is the lowest impact outdoor recreational activity I can think of. For me and I’m sure others a parking area as far along Whitehouse Road as possible would be appreciated. I think the NYSDEC is having second thoughts about taking public maintained roads since they have lost all the way to the NYS Supreme court on earlier illegal confiscation of roads within the blue line. Peter perhaps you should reacquaint yourself with Jim McCaully’s lawsuit and NYSDEC illegally taking roads in the Adirondack Park to satisfy the high priced Albany Environmental Lobby. This Explorer article from 2010 covers the topic pretty well. Peter, what ever happened? Did the DEC commissioner “modify” his decision? And if he did not did the Adirondack Council take legal action as they said they would if he didn’t? It seems like the best place to settle this is in court not by protesters punching each other again. Peter seems to take the extream position on the resent issues concerning right of way to private property within the park I understand the concern with damage to the landscape from illeagle use but he land owner still has to have access to there properties. isn’t there any common ground with some of these issues? If you look again at the article you will see that Peter is only referring to the 0.7 mile of the road that is past any private in-holdings. The in-holdings beyond that have been purchased by the state so there are no private property access issues. that the State had been doing a good job for many years and we don’t need the feds taking over. In fact, DEC has proven time and time again that they can’t manage the Forest Preserve. Lately, neglect and mismanagement are the order of the day. Wilderness is mismanaged and Wild Forest areas are a dumping ground for motorized uses. Where does it end? Yes, that is all we need is the federal government taking over the Park. More illegal actions between behind larger closed doors of the US Forest Service and the high priced Environmental lobby. So all decisions are made in far away Washington away from the prying eyes of the general public. And last I knew the Wild Forest classification does allow motorized use. It is clear the Environmental Lobby is determined to turn the Wild Forest classification into Wilderness by what ever legal or illegal means necessary. There doesn’t seem to be any question that under the APSLM and the UMP the road should be closed. However, for better or worse, the Forest Preserve is managed in a political world, and that is why APA and DEC often have to kick issues, like this one, down the road. This Governor is all too aware of what happened during his father’s administration when DEC tried to close Crane Pond Road. If you think there is any likelihood the Governor will tell DEC it is OK to close the last .7 mile of this road by DEC Commissioner Order, then please come talk to me–I am selling the new Tappan Zee bridge. If the Governor were to muster up the political courage to tell DEC and APA to close the road, and boulders were put there to block it, would that do anything to curb illegal ATV traffic into the wilderness area? Isn’t DEC’s lack of staff one of the major problems with respect to Forest Preserve management? It seems to me that DEC lacks sufficient fingers to plug Forest Preserve’s numerous dike holes. If they work on closing the West River Road, then they aren’t able to address other Forest Preserve problems. I agree with what you are saying, but it is quite depressing to think that some can ride roughshod over the law with no consequences while at the same time destroying the environment. IMHO I think a more effective enforcement technique would be to arrest trespassers once in awhile during surprise visits so that there wouldn’t be organized opposition. Throw the book at them. Just make it known that the law is being enforced. That might reduce the number of yahoos going in there. Same thing on Crane Pond Road. What is the final motive here? If 0.7 miles do not conform to the master plan; why does the title specifically state “Closing Silver Lake Wilderness Road, West River Road, Illegal Road”, etc.? Shouldn’t it specifically state the last 0.7 miles. Much of West river road is a quiet and beautiful. There is private property on this road that has been in the same family for generations, prior to the APA existence. I personally am against any motor vehicle on state land. I do not visit the White house area, however I do traverse the many peaks and valleys in this area for miles exploring enjoying the true wilderness. Closing this road would be a great disservice to those who cherish this road as an access to a way of life that seems to be disappearing.